New YouGov research, released today by iCarhireinsurance.com, a leading online provider of car hire excess insurance, reveals that over one in six (17%) Britons who have driven a hire car abroad, find foreign drivers "very aggressive". Italians have the worst reputation amongst British adults with almost a third (31%) citing them as the "worst drivers" in Europe, followed by the French (13%), and the Swedes are perceived as the least "worst drivers", from a list of 10 major European countries, with less than 1% of the poll. .
With over two million Britons expected to be driving in Europe this summer, the findings also produced some worrying results for road safety. Amongst 635 British adults who have driven a hire car abroad, one in six (17%) found the other drivers to be aggressive, with similar numbers (16%) admitting they struggled with driving on the other side of the road, 14% said they found driving a hire car abroad intimidating and one in ten (10%) finding it difficult to understand the road signs. It's perhaps not surprising then that 17% admitted they had broken the rules including speeding and going the wrong way down a one-way street whilst driving abroad. "and rather than risking paying high excess insurance costs for the first part of any claim, which can be up to �1500, we strongly recommend consumers to buy this insurance before they leave home. This can save a family up to �150* on a two week holiday, compared with buying the excess insurance direct from the hire car company at the point of pick-up." France and Italy also require car drivers to carry onboard a warning triangle and a florescent jacket, and over one in ten (11%) of those who had hired and driven a car abroad admitted that they had driven illegally in both countries as they had not carried these items. Don't forget essential paperwork, including a valid full driving licence with paper counterpart if you have a photocard licence and an International Driving Permit when necessary. 112 is a European emergency call number you can dial in the 27 Member States of the European Union. The use of hand-held mobile phones while driving is prohibited in many countries. It is now compulsory in many European countries for visiting motorists to carry/wear reflective jackets. NB. Not all hire cars will have these. Adjust the headlamp beam pattern to suit driving on the right so that the dipped beam doesn't dazzle oncoming drivers. The use or possession of devices to detect police radar is illegal in most European countries and some countries also prohibit the use of GPS based navigation systems which can identify the location of fixed speed cameras. Make sure you deactivate the 'fixed speed camera PoI (Points of Interest)' function. 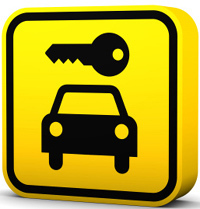 *The cheapest Nil Excess Insurance in Table 1 is Avis, which is �15.50 per day. This multiplied by 14 (for a two week holiday) is �217, or �190.18 (currency exchange as of 12/8/2011 - 1 GBP = 1.14105 EUR). 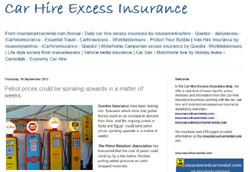 Buying two weeks excess insurance cover from iCarhireinsurance.com is �2.99 a day, multiplied by 14 = �41.86. This gives a saving of �148.32. The research was undertaken for iCarhireinsurance.com by YouGov Plc. Total sample size was 2007 adults. Fieldwork was undertaken between 1 - 4 April 2011. A second survey was conducted between 29th July - 1st August 2011, of total sample size 2015 adults, of which 635 had ever hired a car abroad. The surveys were carried out online. The figures have been weighted and are representative of all GB adults (aged 18+). Table 1: Excess Insurance cost for UK resident renting a VW Golf class car in Barcelona (Barcelona Airport) for a three day rental from 29.07.2011 - 01.08.2011. 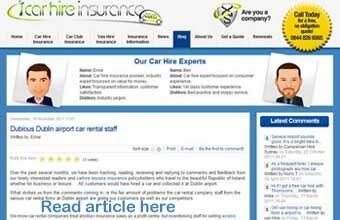 Founded in 2009, iCarhireinsurance.com is a groundbreaking new online insurance service that takes the hassle out of hire car, car club and van hire insurance. 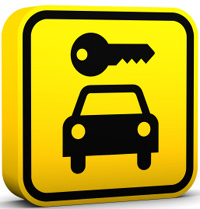 It offers a range of policies that are fully comprehensive, simple to understand, unbeatable value and accepted at all car and van rental locations worldwide. iCarhireinsurance's policies start from only �2.99 a day (compared to approximately �15 per day from a company like Avis � see Table 1 above) or annual cover for �39.99. The comprehensive cover also protects against damage to vulnerable parts of the vehicle including the tyres, windows, roof and undercarriage. 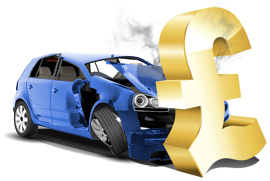 iCarhireinsurance.com is a registered trading name of Halo Insurance Services Limited. Halo Insurance Services Ltd was founded by Ernesto Suarez, a leading insurance professional with 13 years experience in the industry.